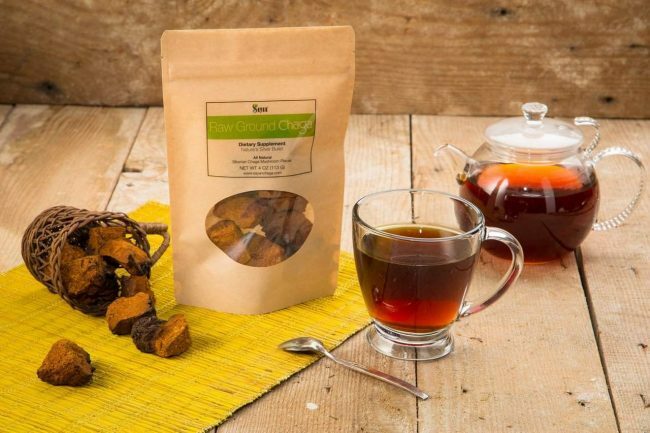 Our exclusive tea blends aren’t the only way you can experience the benefits of raw chaga mushroom. Made with chaga, a medicinal mushroom that grows on birch trees in cool climates, buy raw chaga mushroom in chunk form to grind into your own powder, or steep in warm water to brew your own raw chaga tea (below 122º F) . 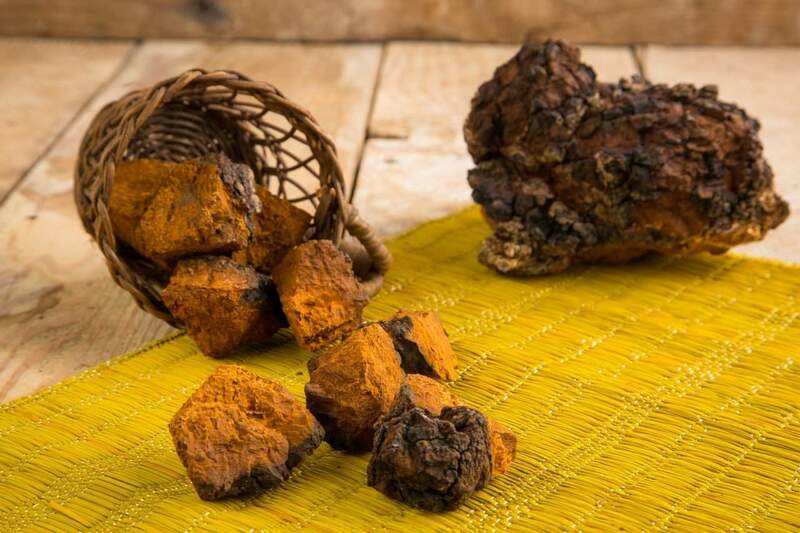 Lauded as the “Medicinal King of Herbs,” raw chaga chunks supply a host of health benefits and functions as a natural stimulant to keep you thriving every day. Prized by natural healers in Russia and China for thousands of years, chaga has only recently become a rising star in health circles in the West, for its immune- and health-boosting properties. Simply pour hot water over 4-5 teaspoons of chaga chunks, let steep, and enjoy as a tea. Raw chaga is your direct link to a wide variety of health benefits. Some people prefer raw chaga chunks because it is unprocessed mushroom. We developed a proprietary method of drying wild-harvested chaga to eliminate the bitter taste in the tea which you brew from our Siberian chaga mushroom. 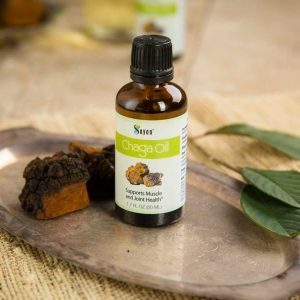 Although chaga grows on birch trees throughout the world, Sayan Health uses only Siberian Chaga because it has the highest concentration of active ingredients of all available chaga mushrooms. Our chaga chunks make it possible to buy raw chaga in as pure a form as you can find, short of harvesting it yourself from Siberian birch forests. 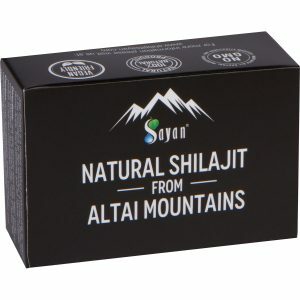 Sayan Health chaga mushroom is sustainably handpicked directly from the Sayan Mountains of Siberia, and undergoes a strict quality control process to ensure that the chaga you receive has not been compromised in any way. When you choose Sayan Health as your raw chaga outlet, you’re enjoying a 100% natural, gluten-free product. 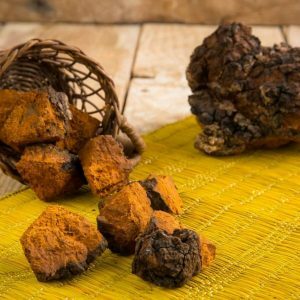 Packaged and harvested by people who truly understand chaga and its unparalleled properties, we supply a product you can feel confident about. Whether you would like to purchase raw product or extract powder – we offer several options at our online Sayan store – so you could chose the dietary supplement which will better suit your needs. However you should know that chaga extract is more potent product. 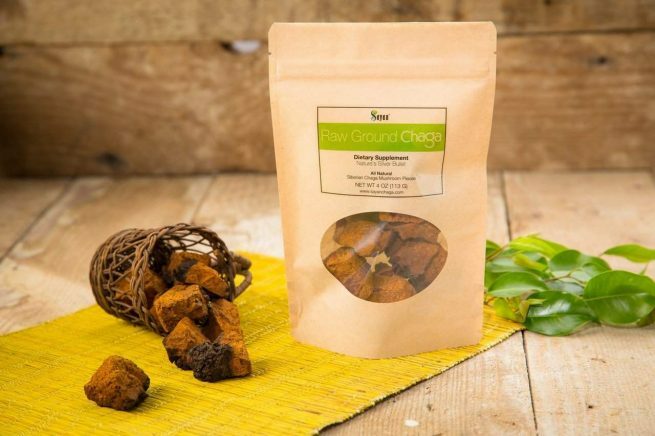 For discerning health-focused foodies who want chaga in its purest possible form, buying Sayan chaga chunks is the next best thing to finding chaga mushroom in the wild. Buying raw chaga also costs less than purchasing chaga extract, and supplies similar benefits. 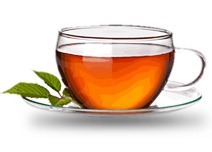 Brew it, add already made tea to smoothies, or use as a supplement tea with other foods. We have been offering chaga products since 2007, and our chaga chunks are pure and of the finest quality. Treat yourself to the “Gift from God” direct from the Sayan Mountains, and enjoy a wide variety of health benefits. 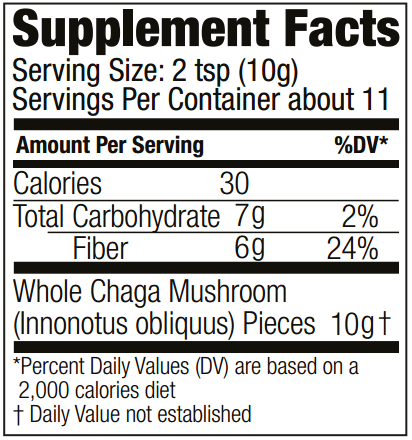 Ingredients: Whole Chaga Mushroom (Innonotus obliquus) Pieces. Pour warm water (no hotter than 122º F) over 4 to 5 teaspoons of raw chaga chunks, and let steep for 50-60 minutes. Chaga pieces can reused a couple of times before discarding. 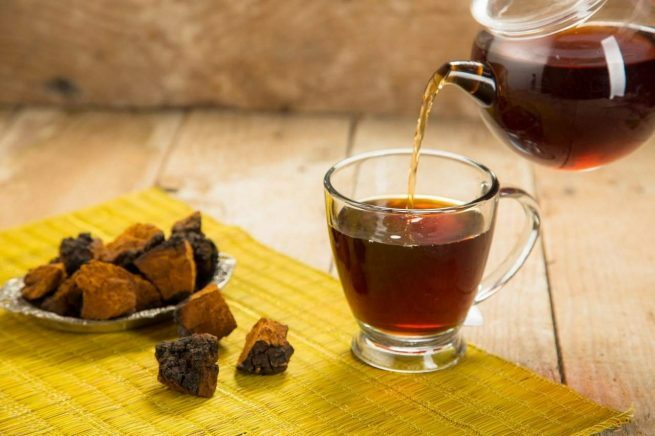 For best results, take a 5- to 7-day break from taking chaga raw chunks every 24-28 days. In other words, take them for about 4 weeks, stop for a week, take them for another 4 weeks, and continue the cycle. When you brew chaga mushroom chunks, the amount of water should be 5 times more than chaga. So the ratio will be 1:5, where 1 is amount of chaga and 5 – water. For example: for 4 Oz chaga chunks you would need 20 Oz of water. While taking raw chaga chunks, we recommend following a dairy-vegetative diet and minimizing consumption of smoked meats, products high in animal fat such as bacon, strong seasonings, and processed foods. This product is very easy to use, just simmer a chunk for an hour or so, and I can re-use them. This has made my hair a lot thicker and my skin clearer. Sayan is a good company and I will continue to order from them. 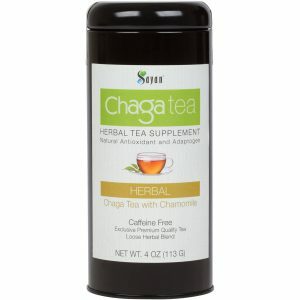 This is a great product.Other chaga doesn’t work for me but this brand does. I make a tea with the chunks by simmering in a pot, now it is part of my everyday routines. Have been drinking chaga mushroom tea for a while. Part of regimen for super diet along with manuka honey.Will continue to drink, taste good and works well. I received my chaga mushrooms on time. Tastes great and works wonderful! I’m on a 21 day fast and this is very beneficial. Thank you for the kind hand written note that ended with “live long, live right”. The best chaga money can buy! I just wanted to say thank you for my recent order of chaga chunks. Love the new 2.2lbs bulk bags. I I’ve been ordering chaga chunks from you for some time. My health has improved dramatically since I’ve started drinking 3 8 oz cups every day of it for the last two months. Thank you so much! Purest Chaga and Superior Quality.. My wife and I have received the chaga chunks today. We are both Russian and my wife is originally from Siberia, so she is a chaga expert. She inspected the chunks and said that this package is perfect and chunks are authentic & purest. The quality is excellent.. all thanks to Sayan team. we are very pleased with your product. It came in the mail very fast. The personal note that was written was a personal touch. We have just started using the Chaga the quality was super. We plan on buying more in the near future.. I also love the fact that you sent a information sheet on how to use it properly.. Thank You to the Sayan Team. Keep up the good work.